Sometimes, a situation occurs in which few contacts get deleted (intentionally/unintentionally) from Contacts folder of Outlook. Therefore, there is a need to have a solution by which one can recover deleted contacts from Outlook 2016 2013, 2010, 2007, etc. In this post, I am going to discuss all possible solutions to recover deleted contacts from PST file. 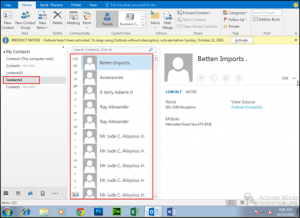 An Outlook user is having contacts in his PST file. After a short time duration, he realizes that some of the contacts are useless and thus, wants to remove them from his PST file. He selects the contacts that are to be deleted and press Delete button to remove them from PST file. Now all these deleted items are moved to deleted items folder of Outlook. 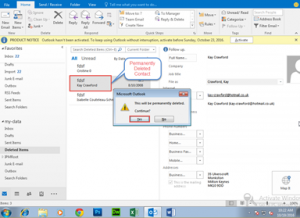 While accessing Outlook, the user unintentionally eliminates contact detail of Kay Crawford from deleted items folder that results in permanent deletion of it. 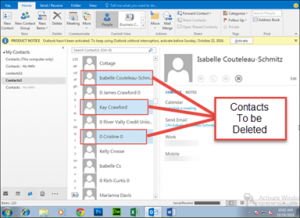 This Outlook user realizes that there is urgent need of Kay Crawford details but, he had deleted the contacts. 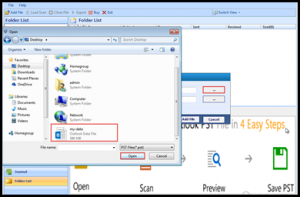 Therefore, a query is generally by such clients that How to retrieve deleted contacts from Outlook PST file that are either temporarily deleted or permanently? Note: If the deleted data is in Deleted Items folder of Outlook then, it is termed as temporary deletion. In addition, if the items are removed from deleted items folder also then, it is considered in permanent deletion. Well, the solution of extracting deleted contact from Outlook is dependent upon the fact that whether the items are in deleted Outlook folder or not. Now you will find that the selected contacts is removed from Deleted Items folder of Outlook and is moved to its original location (which you had browsed in above step). Therefore, you now succeeded in retrieving deleted contacts from Outlook deleted items folder. As such, there does not exist any manual procedure by which you could retrieve deleted contacts of Outlook 2016 and below versions. Therefore, you will require a utility, which recovers permanently deleted contacts from Outlook PST file and save them in PST file itself. 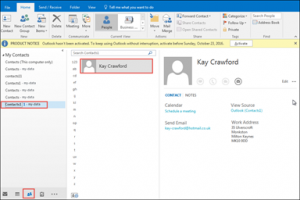 Note: It is discussed earlier that Kay Crawford contact is permanently deleted from Outlook PST file. Therefore, we are going to restore this contact from our PST file with help of this second approach. 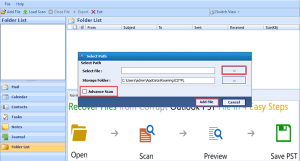 Download Outlook Recovery software on your computer and install it on your machine. 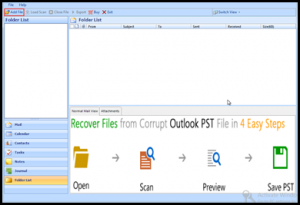 This will enable users to recover deleted contacts from PST file without Outlook installation. Select the desired PST file from which you want to extract deleted contacts and click on Open. Click on Contacts item of PST file (from LHS of tool window) and then you can see the entire data of it. 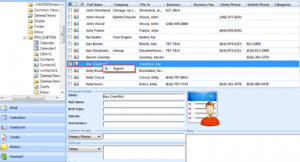 Moreover, you will find the items that you had permanently deleted while accessing Outlook. For example, I had deleted Kay Crawford contact from Outlook but, when I viewed contacts with this software I was able to view the Kay details. Now go to the location where you want to save the resultant PST file and then click on OK button. If required, then you can also create a new folder from tool window and select it as the destination folder. This procedure scan PST file in deeper manner and extracts all data from it. Then it recovers deleted contacts from PST file and loads them on the preview window. 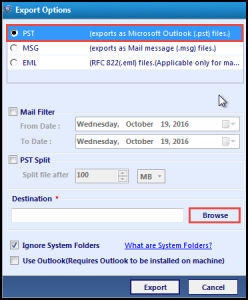 One can wind up with the fact that the relevant solution to recover permanently deleted contacts in Microsoft Outlook PST file is the second one. 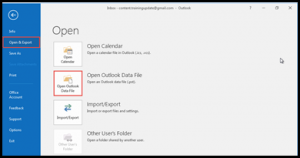 This will extract shift deleted as well as temporarily deleted data from the source Outlook file.